Denim fabric is thicker material compared to other clothing fabrics. For handing and sewing denim fabric normal sewing machines as well as heavy-duty sewing machines are required. Following machine list will be a helpful guide for selecting machines for your startup. Chain stitch machines come in single needle chain stitch and double-needle chain stitch and multi-needle chain stitch machine. Watch the video of Chain stitch machine for waist band attaching operation. 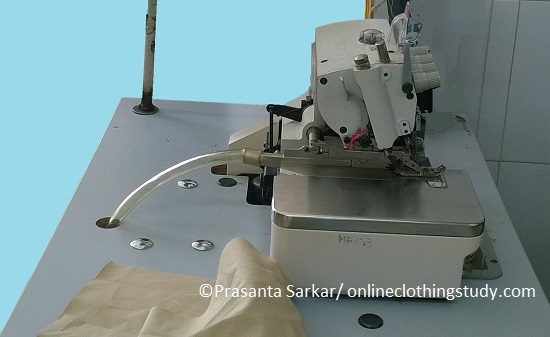 Overlock machines is available 4/5 thread over lock machine and 3 Thread overlock machine. Other than sewing machines you need work aids, sewing machine guides and attachments for various sewing operations. The most common industrial sewing machine brands applicable for denim jeans making are listed here. Automatic belt loop making and belt loop attaching machine - there many sewing machine brands who makes automatic belt loop attaching machine. Automatic waistband attaching machines. A comparative analysis of different sewing machine brands are posted in this article. Machine brands for automatic jean machine include - PFAFF Industrial, VibeMac, AMF Reece, Kansai, Yamato etc. Snap buttoning - In jeans snap button is used. To attach the snap buttons in waistband snap button machine is required. 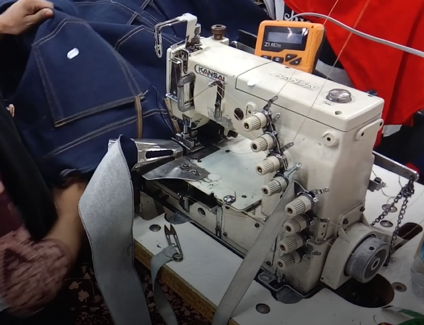 Starting a jeans factory you need different types of sewing machines, non-sewing machine, equipment, attachment and guides. You can get exact information of sewing machine features in the machine manufacturer's websites. Do further research and explore for the correct machine model for your product after reading this article. 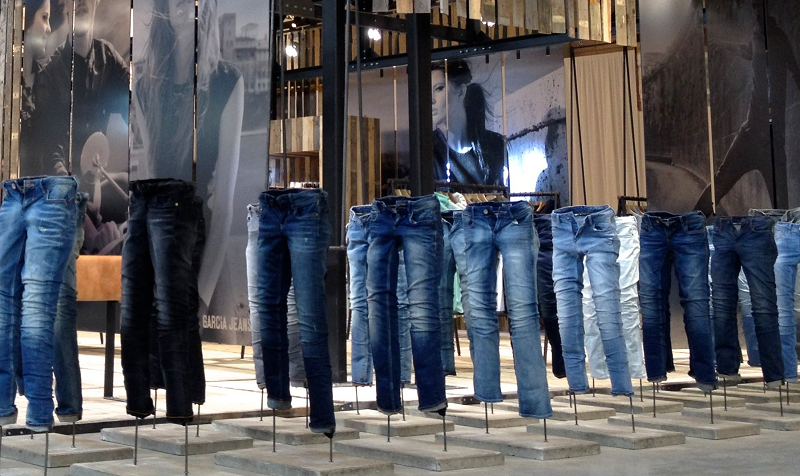 Denim jeans is made of using industrial sewing machines, and automatic sewing machines. Different types of sewing machines needed for making and joining different jeans parts.